My top 10 tips for 2011. Last week I wrote about how I changed negative health habits, which allowed me to lose 30 lbs., lower my cholesterol and sleep better. 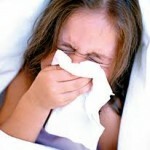 One of the things that always derailed my health was catching a cold. It seems like I would just be getting consistent with my workouts, feeling really strong and next thing I knew, I’d catch a head cold. I’d stop working out and it would be at least 2 weeks before I’d get my workouts consistent again. I knew the key to maintaining my weight loss was to keep my immune system strong. Why was I getting sick so often? Was there a pattern to why/when I’d get sick? There was-it seemed that if I had a few nights of poor sleep followed by eating too much sugar my immune system, went haywire. I realized that sugar had a huge impact on my immune system. In fact, research shows that after you eat sugar, your immune system will “shut-down” for 3-4 hours. I also discovered the majority of the immune system is located in the gut. If your gut is healthy, your immune system will be too. Sleep at least 7 hours/night. Get your gut healthy and eat immune boosting foods. Here are some of my favorite immune foods. Zinc deficiency is common in the U.S. because many Americans aren’t eating enough zinc rich foods. 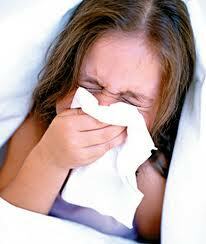 Common symptoms of zinc deficiency are frequent colds and infections. Zinc will stimulate your body to produce immune boosting antibodies (this is why zinc throat lozenges have become so popular) and it will help to annihilate cold viruses. Here are my 3 favorite zinc rich foods. Grass-fed beef: Cook up ground beef, drain off the fat and add it to your salad or a tortilla with a sprinkle of salsa and chopped lettuce. Pumpkin seeds: Keep a bowl on your desk at work or a baggie of them in your purse. Spinach: Switch to spinach salad in the winter. Add spinach to sandwiches or chopped up in soups and pasta. Oranges are a good way to get your daily dose of Vitamin C (VC). VC stimulates the growth of antibodies that help your body fight infections. Also, VC helps to relieve a stuffy nose/congestion. Bell peppers are very rich in VC. Slice and dip in hummus or buy a bag of frozen and chopped bell peppers and add to soup and pasta sauce. Eat more bacteria! Stick with good bacteria from yogurt. Your stomach/intestines have over 500 varieties of bacteria. Good bacteria (also called, probiotics) help to increase the numbers of good guys, while crowding out the bad guys in your gut. The bulk of your immune system is located in your gut. If you can increase the good bacteria you will be boosting your immune system. Yogurt has been shown to create more white blood cells (disease-fighters). All yogurts are not created equal. Make sure you choose a yogurt that is low in sugar (less than 10 grams per serving). Your best choice will probably be Greek yogurt, which is known to be low in sugar. Garlic is nature’s secret weapon. It is a potent antiviral, antifungal and antibacterial weapon. Allicin, the sulfurous chemical compound responsible for the stinky aspects of garlic, has been shown to inhibit the growth of bacteria and even kill some germs on contact! One study found that garlic successfully killed 14 strains of bacteria taken from kids with ear infections. Research shows that cooked garlic will still retain most of its immune boosting properties. My favorite baked garlic recipe: Trim the root but keep the bulbs unpeeled. Coat bulb with 1 tablespoon olive oil, wrap in foil, and bake in a 300 degree oven for 1.5 to 2 hours, or until cloves are easily pierced. Use as a sandwich spread, add to pasta or add to grilled veggies. Great tips Deborah, I just roasted up my pumpkins seeds from our “carving party” and was wondering what benefits they contained. Thanks so much.